Often talk about customer relationship management (CRM) systems focuses primarily on B2B businesses, despite the fact that every business has customers. In fact, relationships with their customers are increasingly moving to the top of B2C companies’ priority lists. In today’s competitive environment, the business that can create personalized interactions with its customers is the one most likely to earn their loyalty. If you run a B2C company, CRM could be an important addition to your suite of solutions. With the right system in place, you’ll be able to create strong relationships with your existing customers while also finding new methods of expanding your audience. Here are a few easy uses of a CRM to take your B2C brand to the next level. Personalization is everything in business today, from marketing campaigns to customer service. Top retailers already realize that if they want to remain competitive, they have to use data science to constantly gather, analyze, and utilize information on customer interactions with their brand. Realizing this, top CRM provider Salesforce has solutions designed to address the unique needs of B2C brands. In addition to building databases that allow you to track the history of each customer’s purchases, complaints, and product returns, Salesforce resides within your data infrastructure, gathering information on customer interactions with your website. That data will give you the foundation you need to make decisions about product development, develop marketing campaigns, and adjust your approach to customer service. The top reason many businesses turn to CRM is to manage their customer service activities. At the very least, CRM lets a business collect information on its customers, including the email addresses and phone numbers that brick-and-mortar stores gather at checkout. This information can be used to inform your demographics or you can take it a step further and create a marketing database through which you send promotional offers. If you help customers through calls, social media posts, or online chat, you can use your database to inform those interactions. Instead of forcing a customer to recite his or her entire history with a specific purchase, your representatives can access that information and reduce frustration. To the customers on the other end of the conversation, it will feel as though they are more than just a number to your business. You’ll also be able to assign, escalate, and monitor customer service tickets to each issue gets the most rapid response possible. Research shows that 67 percent of customers have sought customer service from a company on social media. B2C consumers can’t afford to ignore those customers, who generally expect a rapid response. Today’s CRM software addresses this need, pulling in social mentions and assigning them to your customer representatives as tickets. Since your social activity is combined with your other customer service activity, you’ll reduce your risk of missing a customer complaint because someone forgot to check your social media accounts on a particular day. Brands like Bed Bath & Beyond have become known for their mastery of winning repeat business through coupons. Whether you deploy your coupons through postal mail or email, contact information is crucial. Retailers can win repeat business through the use of coupons and special offers, available only to those who opt in. Over time, customers who aren’t participating will sign up to avoid missing out on a great deal. Before you can kick off a solid discount program, you need a good CRM in place to capture information and measure results. Your most loyal customers are your business’s most valuable assets. Considering the high cost of attracting new customers and convincing them to buy, those repeat buyers actually save you money. A CRM gives you the opportunity to determine which customers are your most loyal and extend your appreciation for their business. If you want to take it a step further and offer a reward program for all customers, your CRM can house the data on every customer who signs up. Every successful B2C business now has analytics solutions in place for at least part of its daily activities. 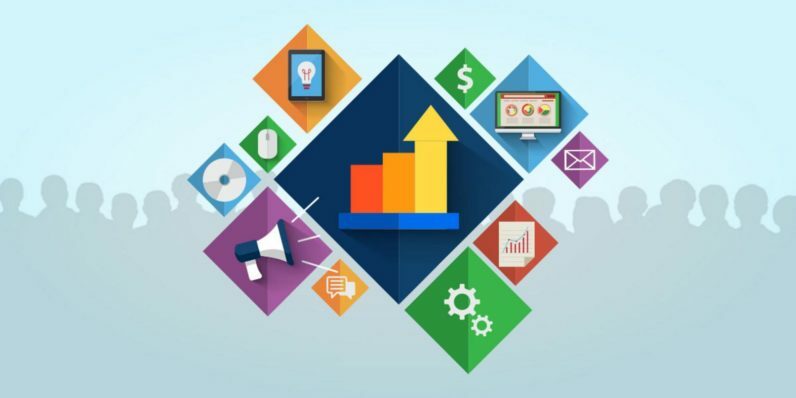 Monitoring the results of your marketing campaigns, sales efforts, website performance, and similar endeavors is the first important step toward growing. Once you’ve determined what does and doesn’t work, you can hone your efforts for better results. Through CRM analytics, you’ll be able to determine which customers spend the most money, which spend the least, and how many new customers you’re adding each month. With access to this data and other information, you’ll be able to better target your efforts. Every business can benefit from CRM, regardless of size or specialty. B2C companies can use these tools to gather information on customers, improve their interactions, and monitor the results. As more B2C brands use CRM to power their customer interactions, businesses that neglect this platform will find they have difficulty remaining competitive. Read next: Will AI be the future of medical technology?